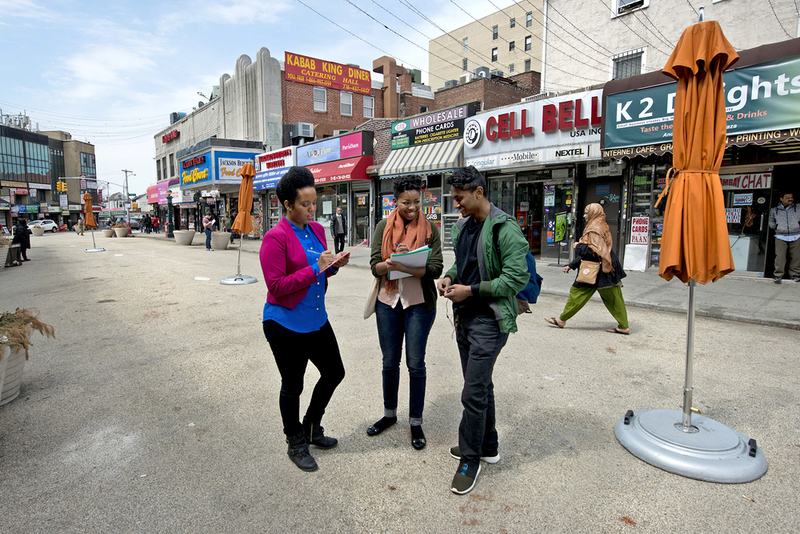 The Diversity Plaza, located in Queens, New York City involved the research and engagement of the Jackson Heights transit hub, on 37th Road between 73rd Street and 74th Street. Diversity Plaza was created as part of the New Yorks City’s Department of Transportation (DOT) Plaza Program. This program aims to transform underused roadways into vibrant public spaces. Design+Culture Lab investigated the plaza and evaluated its social impact since its installation four years ago. Based on our findings after engaging community members and visitors to Diversity Plaza, Design+Culture Lab was able to identify creative methods for the improvement of public programming in the space, to support an intercultural exchange among the inhabitants of the urban. * Photographs by Martin Seck, courtesy of Parsons re:d, the magazine for Parsons alumni and the wider Parsons community.